I do agree with you. To often, we wait for the ‘perfect’ spot or the ‘perfect’ subject instead of just having fun with what’s around us. I like you two sketches. 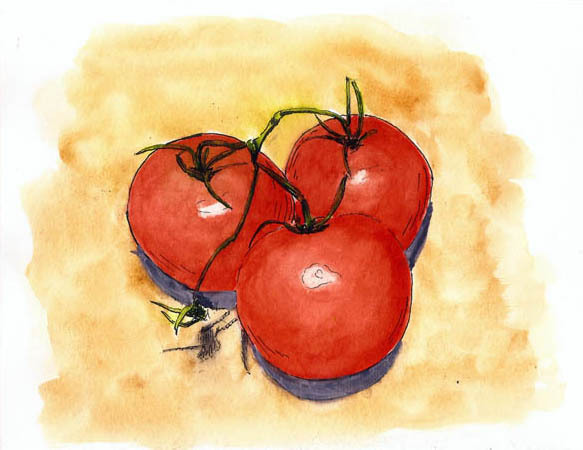 You know by now how many apples, tomatoes and pears are in my sketchbooks! 😉 Heck, I choose produce based on which colors I feel like using! 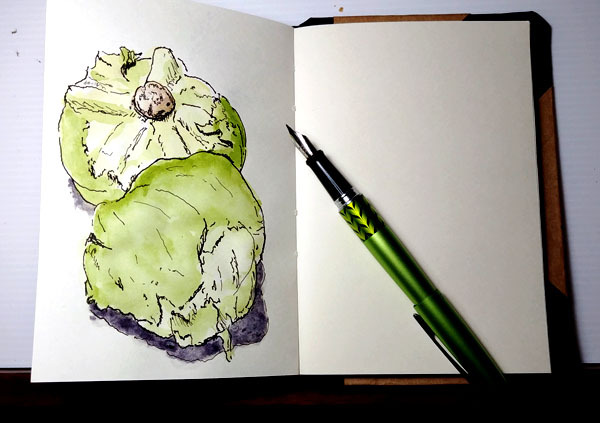 Yep, and I love everyone of your fruit sketches. You’ve gone to watercolor pencil school on those.